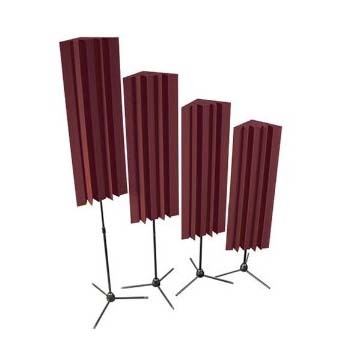 More on the Auralex Acoustics Stand-Mounted LENRD Bass Traps (Burgundy 4 pack) S_MLENBUR below. Auralex's Low End Node Reduction Device (or LENRD) bass traps help control low-frequency sound waves and room nodes/resonance bumps. 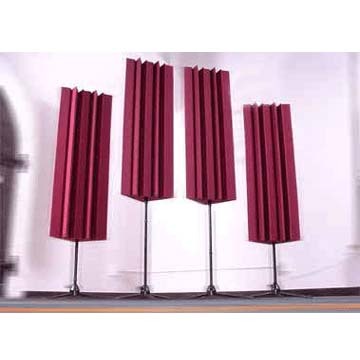 The "Stand-Mounted LENRD" is a free-standing version of Auralex's standard LENRD bass trap, designed to complement the MAX-Wall Modular Acoustical Environment. 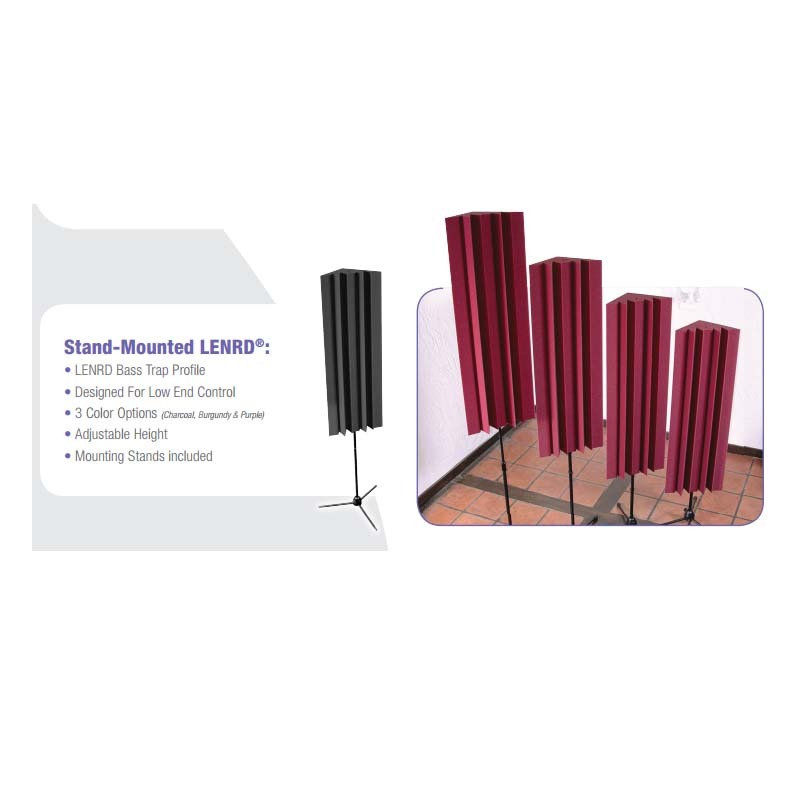 Stand-Mounted LENRDs are 4 feet tall instead of 2 feet tall like standard LENRDs and come complete with MAX-Stands. Stand-Mounted LENRDs normally rest about 6 feet high, but can be extended to 8 feet. They are the perfect complement to the Auralex ProMAX and MAX-Wall Systems (sold separately- see related products below). All are portable, effective, and easy to use. Because they are stand-mounted, there is no need for adhesive and no wall repair if you want to reconfigure your space or move. Easy installation with no adhesive required. 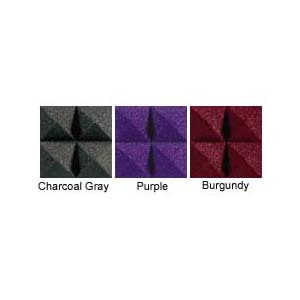 Available in Charcoal, Burgundy, and Purple. See related products below. 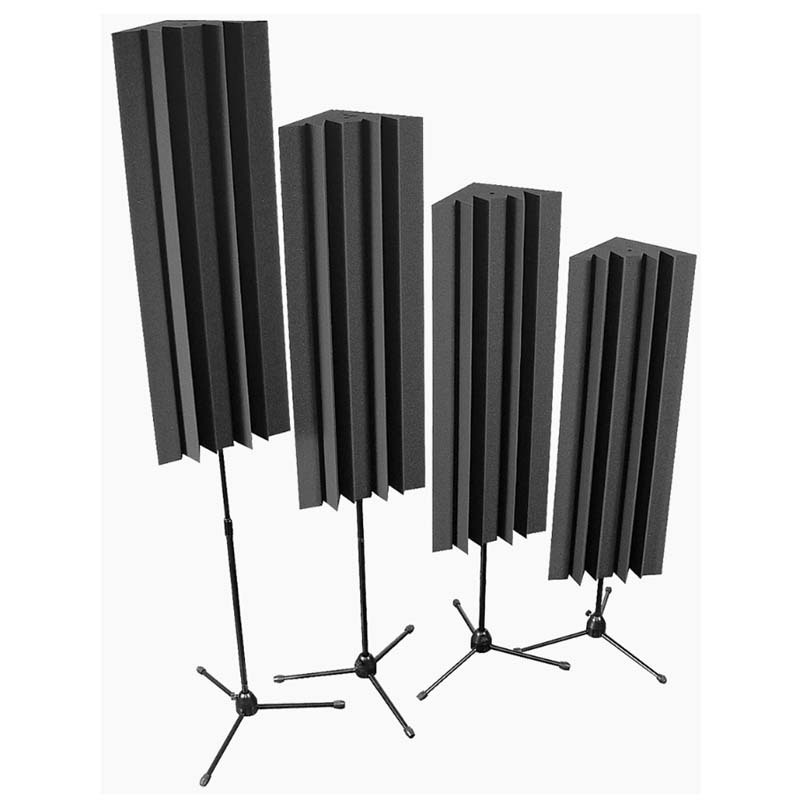 *Standard LENRD bass traps are available from the "Related Products" section below.